Slovenian act Laibach have always been a controversial group, appearing sometime in the early 80's as part of the Neue Slowenische Kunst art collective throughout their career they have flirted with all kinds of provocative and confusing political statements that have had them accused of both left-wing and right-wing sympathies at times. Whether through adopting a camp totalitarian aesthetic to their image by wearing uniforms, performing live shows as political rallies, subverting the themes of western pop music through their unusual covers or the Wagnerian influence over their music Laibach has always thrived on being a provocative force. Opus Dei is perhaps the groups most well known release, primarily on the strength of its title single (a cover of Live Is Life by pop group Opus) and it's incredibly camp music video which if anything goes to great lengths to prove one thing: nothing will ever be more epic than caribou on the mountain. Watch it and see. Every track here is an exceptionally strong exercise in martial industrial and neo-classical, from Geburt einer Nation (a cover of Queen's One Nation) to F.I.A.T to The Great Seal (later adopted as the official NSK state national anthem, long story) the militaristic feel of Opus Dei in it's pounding drums, crowd chants, use of classical samples and the throaty, deep vocals of Milan Fras manages to be both hilarious and captivating all at once. You have been hugger, muggered and carom-shotted into a war, and you know nothing about it. or you know next to nothing. You are not to win this war. Yon cannot win this war." It is a very atmospheric track. 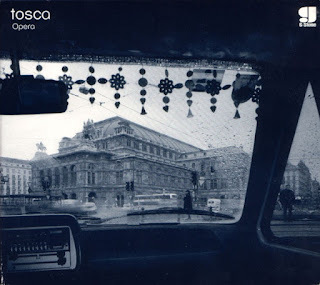 The rest of the music on offer here showcase the prowess of Laibach in conjuring up militaristic sounding industrial compositions, spiced with enough of a hint of classical pompousness to sound almost cartoonish in delivery but also something else, passionate. The Great Seal is an important track not only for Laibach but for the cultural art movement of Neue Slowenische Kunst they grew out of enough to be adopted as it's official anthem, capturing their whole philosophy in just a few lines. Heavy stuff. The swell of strings that follows these lines is some of the most heartfelt, gorgeous music I have ever heard.... and so ends the album. Unless you have the edition with a few extra bonus tracks, all of which range from not bad to good. I won't judge Opus Dei by these however. Opus Dei is a masterpiece of its genre. 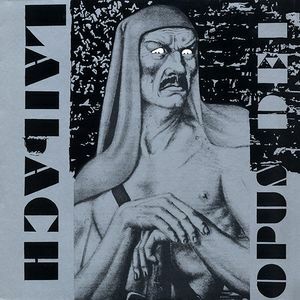 There is no band quite like Laibach, and assuming a love it or hate it type of relationship the average listener will find with this group they are at least worth checking out once.